Chandra face to face with Walbert III. Chandra walks through the gates of the monastery with Gideon by her side, and is confident that Walbert will keep up his end of the deal. She trusts Gideon's word, and knows that Mother Luti would have stopped her if she also didn't believe the deal would be kept. Gideon wants to know why Chandra agreed to it in the the first place. "I can't carry any more of them." "No, I don't suppose you do." They reach a white magical barrier that was erected around her home, and Gideon tells her to walk through. It sticks to her. Clings to her. The whole barrier shrinks down and collapses around her like a second skin. 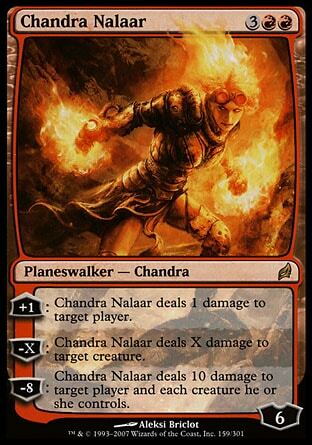 Chandra instinctively tries to attack it, but finds that her fire is instantly doused as soon as it's created. Chandra manages to overcome her panic, and out of breath from her struggles to escape it, she asks Gideon what's going on and he tells her that it won't harm her. It's just put in place to prevent accidents. Her words are accusatory that he knew this was going to happen, and he tells her that she should have listened when he told her to leave Regatha. If the circumstances were different, Chandra would have taken more interest to her first trip to Zinara. It's a beautiful city. There are crowds of people watching her and she marches on toward the Temple of Heliud, but none of them seem scared. She realizes that to them, all they see is someone being escorted by more than a few Zinara soldiers... and she's glowing white. Many of them mistake her for being a high hieromancer and even bow as she passes. They continue on through the city and reach the temple entrance. The enormous hall of white marble and expensive tapestries opens up before her. At the top of two curving staircases stands a man that she knows is Walbert. Chandra is sure she's to be executed, but Walbert instead gives the order to allow her to freshen up before she's to be brought to his study. 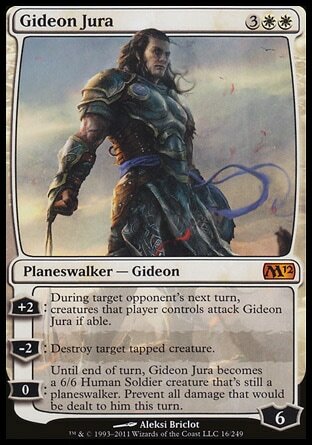 "Gideon says you’ll keep your word to withdraw your forces completely from Mount Keralia and leave the monastery alone from now on. Will you?" Walbert looked amused. "No wasting time, I see! I like that, Chandra." Chandra doesn't care what he likes. She just wants confirmation that the deal will be kept, that Keralia Keep will be left alone. If the deal will be honored, she'll make not attempts to escape execution. Walbert says that of course the deal will be kept, but she's not to be executed. His visions are finally going to be fulfilled this very night. Visions about Chandra. Walbert smiled again, and his expression was warm and serene as he gazed at her, his enemy and prisoner. "For years I have believed you would come during my lifetime. For years, I have awaited you." She glanced at Gideon. He kept his face under control, but she could tell from the redoubled intensity of the gaze still focused on Walbert that he was as stunned as she was. "You are the herald of the chaos that’s on the verge of overwhelming this plane," Walbert said. "Your arrival on Regatha threatens to usher in an era of ungoverned madness here." Chandra says she didn't come to usher in anything. She came to Regatha just to study and learn. She certainly has no intentions of causing any kind of catastrophe. Walbert replies that he's seen her in the Pufifying Fire. He knows she's not in control of her destiny. That she, herself, isn't in control of her own actions and rather just reacts wildly to what's around her. Like a force of nature. Her existence threatens everything he's been working to build, threatens to destroy everything and he will make sure she's stopped. 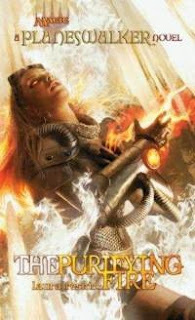 Gideon asks what he intends to do, and Walbert tells him that he's going to give her to the Purifying Fire. If I understand the history of the founding of Zinara right... there are two outcomes when being fed to the Purifying Fire. One man went into the fire and was reborn and became the great founder of Zinara. The other man that went in never returned. If Walbert says she's not be executed... does that mean he wants to transform her, convert her, to the ways of the Order? Or is he just nitpicking at the word "execution" and being killed when fed to the Purifying Fire doesn't count as being executed because you're being "judged" or "cleansed" instead? The book's almost over, so I'll find out soon enough. I like that Chandra's personality is being used against her. That it's being used as a method of judging her and her actions and why she needs to be fed to the Purifying Fire in the first place. Her personality makes sense because of her red-aligned nature, because it sets up the initial trouble that starts off the book, and because it's the reason she's been singled out and thought of as a force of nature rather than someone who willfully or maliciously kills and destroys. She's such a reactionary character that making her personality a driving force behind the conviction of the antagonist satisfies the part of me that loves seeing how things connect. I haven't mentioned it before, but regarding Chandra's nightmares. I think it's pretty safe to say that there is a strong possibility that Chandra accidentally killed her own family as she was coming into her powers. How she gleefully throws fire around all over the place while having that on her conscience hasn't been explained... but with her strong aversion to harming who she considers to be innocent, I'd just say she's good at compartmentalizing. Clearly Chandra isn't going to die when she steps into the Purifying Fire, so I'm guessing she's going to be facing her past and will come out of the experience stronger than ever (while at the same time ruining Walbert's plans), like any hero should.